The company, Rolls Royce Ltd were founded in 1904 by Charles Rolls and Frederick Royce. Their business quickly developed a reputation for superior engineering quality and for manufacturing what was referred to as the “best car in the world”, a reputation that still is thought as valid today. The first Rolls Royce Silver Ghosts were manufactured from 1907 and into the early 1920’s and were the cream of the crop of Rolls Royce cars. Manufacturing began in Manchester, moving on to Derby in 1908 and also in Massachusetts between 1921 – 1926. 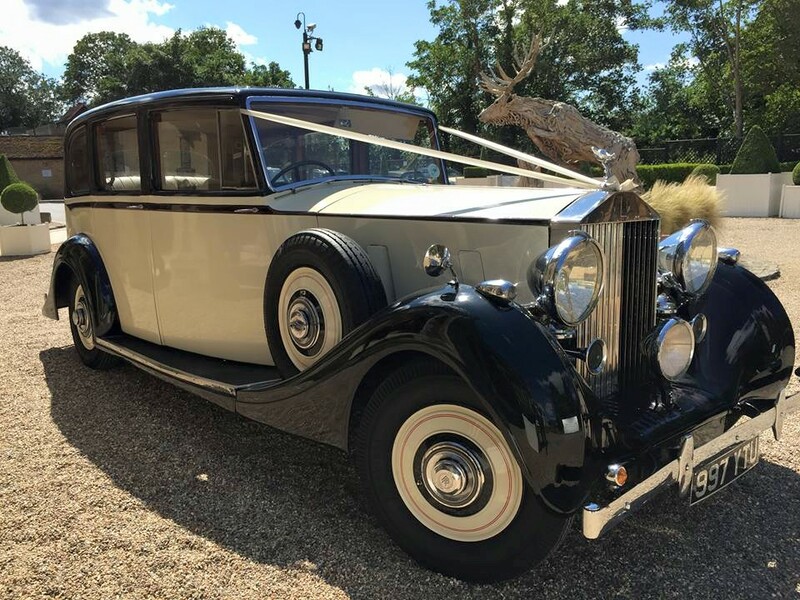 The Silver Ghost was the origin of Rolls-Royce’s claim of making the “best car in the world” and indeed some of the vintage Ghosts are still in operation today, in fact we can still organise a pair of 1920’s Silver Ghosts for wedding and event hire, these operate out of Kent. In recent years a new, modern version of the Rolls Royce Ghost has been released into the executive market, these are very high end cars used not only for wedding hire but also for corporate use and business use. The Phantom was Rolls Royce’s replacement for the original Silver Ghost and the first model was introduced in 1925. The Phantom was built in Derby and Springfield, Massachusettes in the USA and there were differences between the English and American Phantoms. There have been many models built since (currently 8) right up till today and they are always popular for wedding car hire. 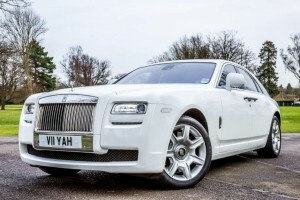 Part of the reason for the Rolls Royce Phantoms’ popularity as a wedding car is the size inside with seating often for 5 – 6 passengers, as well as this the cars are very grand and regal in design. The Rolls Royce Phantom IV is the most exclusive model ever built, only eighteen were made between 1950 and 1956, seventeen of which were sold exclusively to royalty and heads of state. Sixteen are preserved in museums, public and private collections. 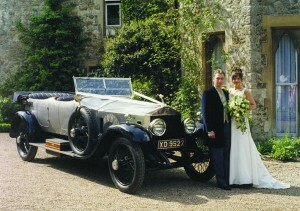 Some are now used for wedding car hire, the vintage Rolls Royce Phantom is a very prestigious and sought after choice of vehicle. In between the end of the 1920’s and end of the 1930’s the Phantom 2 and Phantom 3 models were released and sandwiched in between them were the Rolls Royce 20/25 and 25/30. The numbers of these models refers to the engine HP and overall size of the cars, the 20/25 model was tremendously popular, becoming the most successful selling inter-war Rolls-Royce. 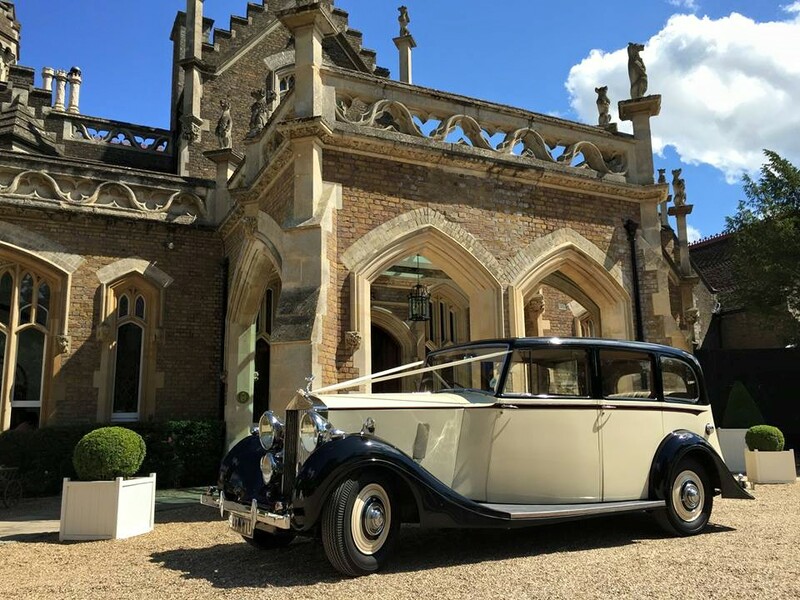 A total of 3,827 were produced, of which over 70% are still on the road today and many are in service for wedding hire across the country and indeed the world. The 25/30 model was built between 1936 and 1938 is an updated version of the 20/25 with a larger engine to provide more power. The Rolls Royce Wraith was built at the Derby factory from 1938 to 1939 and was the last of the true vintage cars Rolls Royce built, productionof course beinginterrupted by world war 2. Wraith is an old Scottish word meaning Ghost or Spirit, continuing Rolls-Royce’s similar sounding names of this type. The Wraith was succeded by the Silver Wraith of the late 1040’s and 1950’s whilst a brand new modern executive Wraith was introduced in 2013. All of the Rolls Royce Wraiths make fantastic wedding cars but in particular the vintage ones with their enormous cabin space allowing for up to 5-6 passengers to be transported, often with the use of the fold away seats in the rear.